These are the games we’ve been striving for! This Tuesday, Barcelona will host Atletico Madrid in the Camp Nou, while in England we’ll get to see Manchester United facing Bayern Munchen at Old Trafford. It’s the UEFA Champions League quarter-finals and at this stage of the competition, only the strongest will survive! Barça and Atletico have already played each other in 3 different occasions this season, with all those games ending with draws after very intense battles. The first two clashes were still in the pre-season, when the two sides were fighting for the Spanish Super Cup. Barcelona got to edge their rivals thanks to the away goals’ rule, but have never really beaten or outplayed Diego Simeone‘s men in any circumstance. The last time they’ve met was in La Liga on January 11, in a game where a stubborn goalless draw ended up prevailing at the end. These two teams are toe to toe on the top of the Spanish League table right now, since the only thing that is setting them apart is 1 single point. Real Madrid comes right behind in 3rd place, but the Merengues have already lost their direct head-to-head confrontations with both Barça and Atletico, which means any tie in points will not favor Carlo Ancelotti‘s men. 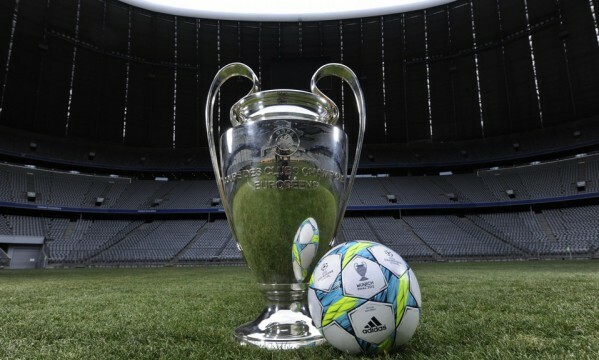 The focus is now set in Europe though and whoever steps out of this 2-leg tie victorious will certainly receive a great boost not only to chase the ultimate glory in the Champions League, but also to go through a final effort to get crowned Spanish champions by next May. The Barcelona vs Atletico Madrid live game will be aired on Sky Sports 1 in England, FOX Sports 2 in the USA and TVE in Spain. Barcelona will most likely rely on their main star Lionel Messi, who seems to have reached the peak of his form recently, just in time to help his side going through the decisive stages of the season. His new partner in crime this year has been Neymar, who despite the predictable struggle in adapting to football in Europe, seems to gradually start to feel more loose on the pitch and delivering the type of performance that all Barça fans expect from him. The Brazil international will look forward to make the difference in such a big game and specially at such a big stage as it is the UEFA Champions League. 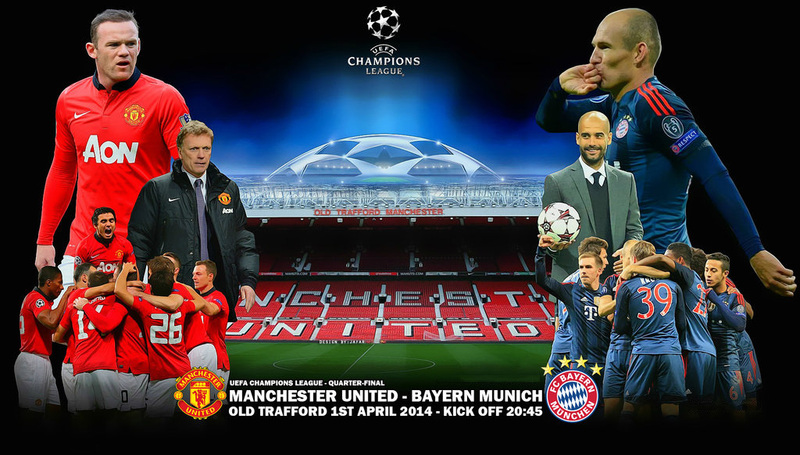 The other tie taking place this Tuesday will be the Manchester United vs Bayern Munich live match. There’s certainly a lot of history behind these two teams and for those who don’t remember, they’ve already met in a epic final in May 26 of 1999, where Man Utd came back from being 1 goal down, after 2 goals scored in stoppage time. That was one of the most frustrating nights in Bayern Munich‘s history, who are now under the reign of a new coach, Pep Guardiola. The current European champions are seen as the major favorites in this round and with their German pragmatism combined with the Spanish tiki-taka in place, few believe that David Moyes‘s men can pull off a surprise, specially on a 2-leg round as it is the case. For Manchester United, this is their opportunity to redeem from such a poor season thus far, with a nightmare campaign in the English Premier League that will most likely end with them out of any ticket to Europe next year. They will also go into tie against Bayern Munich knowing that Robin Van Persie won’t be able to help them, since the Dutchman has recently picked up an injury that will force him to be out of the team in the weeks ahead. This Man Utd vs Bayern Munchen match is going to be broadcasted by Sky Sports 1 in England, FOX Sports 1 in the United States and Sky 1 in Germany. Barça: Pinto; Jordi Alba, Javier Mascherano, Gerard Piqué, Daniel Alves; Sergio Busquets, Cesc Fabregas, Xavi; Andrés Iniesta, Neymar, Lionel Messi. 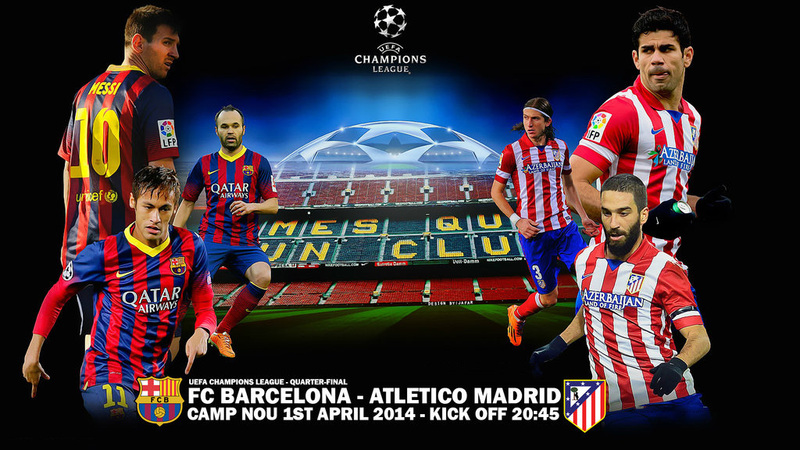 Atletico: Courtois; Filipe Luis, Miranda, Godin, Juanfran; Gabi, Koke, Suarez; Arda Turan, Diego Costa, David Villa. Man Utd: De Gea; Buttner, Vidic, Smalling, Jones; Michael Carrick, Ryan Giggs, Fellaini; Kagawa, Antonio Valencia ; Wayne Rooney. Bayern Munchen: Neuer; Alaba, Boateng, Javier Martinez, Rafinha; Lahm, Bastian Schweinsteiger; Franck Ribery, Mario Gotze, Arjen Robben; Mandzukic.